you may have noticed i took a week off. but my crafty hands haven't stopped. for my friend's mom's friend. one of the things i made for it. 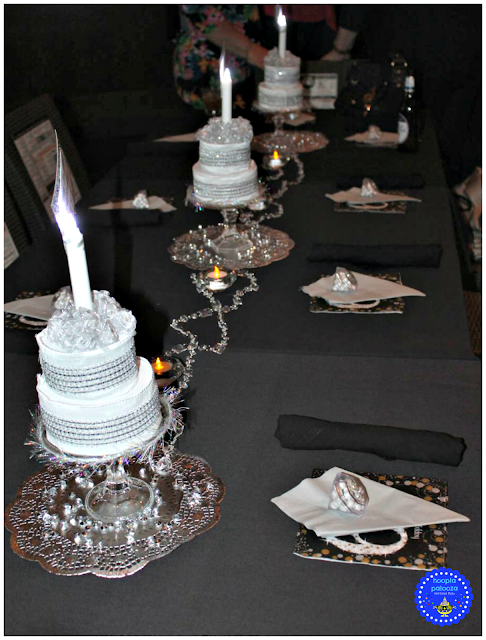 those are birthday cake candle centerpieces. and not to mention can cost a bunch. 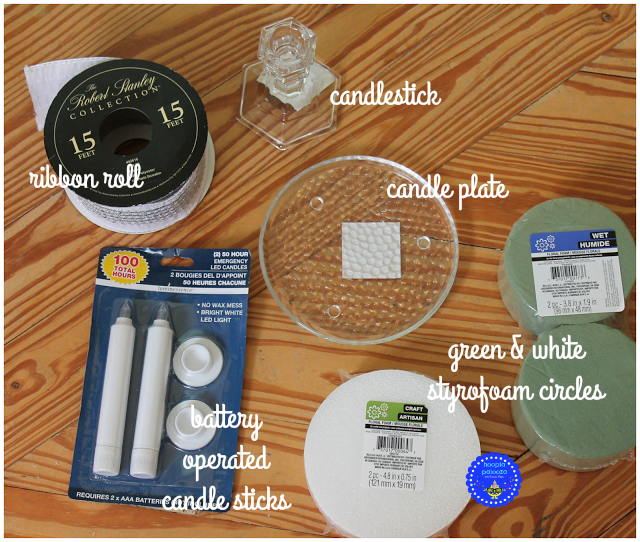 1. glue the candle plate to the candle stick with E-6000. 2. outline your white styrofoam on white cardstock making a circle and cut out. 3. glue the circle to the top of a 3 layer stack of white styrofoam. 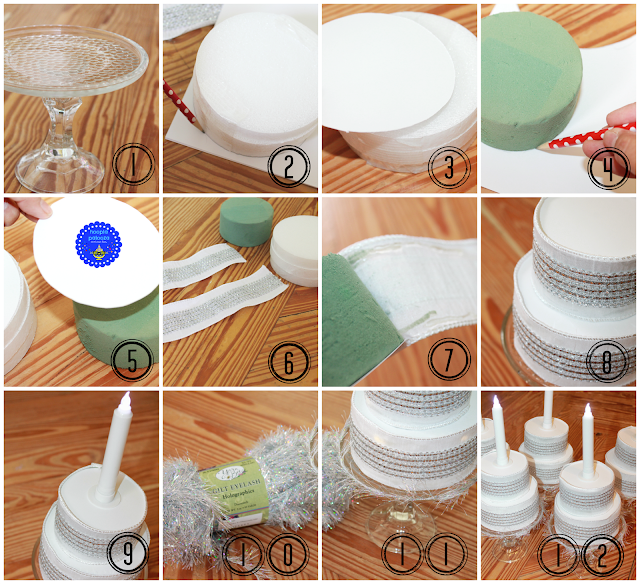 4. outline your green styrofoam on white cardstock making a circle and cut out. 5. glue the circle to the top of 1 green styrofoam circle. 6. cut ribbon strips for each layer. 7. hot glue your strip around the layers. 8. glue the green stack on top of the white stack as shown. 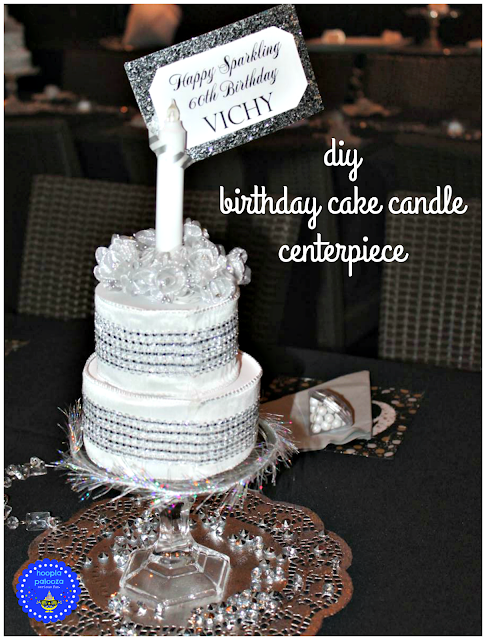 9. glue your candle stick to the top. 10. grab some sparkly ribbon or yarn. 11. glue to edge of candle plate. which costs about $6 each. wanna see the rest of the party? so do you think i took a week off? I knew you couldn't take a week off! 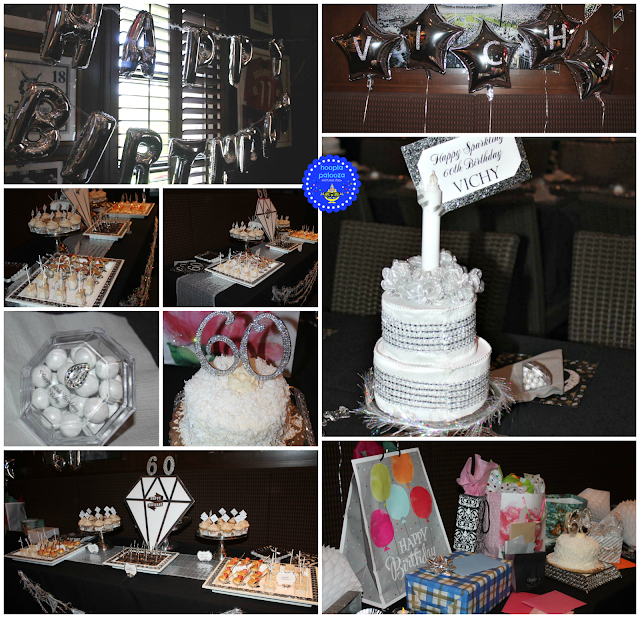 What great centerpieces, what girl wouldn't want a sparkly party? You totally shine! oh gosh that's what happens when you copy and paste your own cuz you're too lazy/busy to type it out! i was thinking "repeat" for the top layer lol good thing i have my BBFF to watch out for me! thanks so much Dona it's all fixed now :>D! Hi Lisa, What a fun idea for a centerpiece! Hope you have a happy Memorial Weekend! 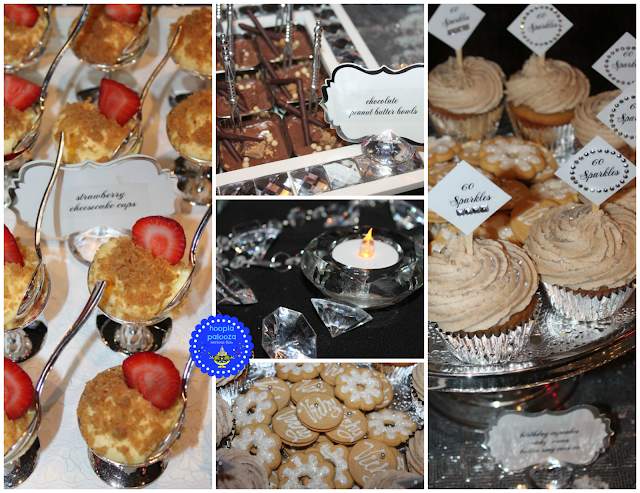 Thanks for sharing at the Inspiration Spotlight party. Shared. I MADE THE TOP 60!! NOW WHERE IS THAT AGAIN? YOU make me happy when skies are gray. O BLESS YOU FOR JOINING THE FOLLOWER'S LIST! THESE ARE WORTH YOUR TIME, I THINK! GRAB MY BUTTON & I'LL LUV U 4EVA! that I am BEYOND honored to have you feature one of my posts SO SO MUCH that it literally makes me fly in the air whilst eating a sprinkle donut with a huge smile on my face! to that point, THANK YOU for sending me a quickster email at hooplapaloozablog@gmail.com saying you did just so & linking back to me! I couldn't do this without you! hooplapalooza March 2012. Simple theme. Powered by Blogger.